Coffee is more than just a beverage, but an essential part of life for some people. It’s a necessity, according to proud coffee lovers out there who can barely survive a day without gulping that warm, soothing, and tasty stimulant. Sometimes you just wish to bring home your favorite coffee shop and enjoy your favorite drink at any time of the day. Luckily, it is possible if you have the skills and machines to support your goal.Whether you want to start a small home business, entertain guests during a reunion, or just unwind in the presence of homebrewed goodness, the idea of having a coffee bar at home can make your space stand out from the rest. Coffee making machines? Check. Skills of a dedicated barista? Check. Open space like a kitchen or a patio for your home coffee bar? Check. After considering these three significant factors, maybe it’s now time for some decorating. Check out these decorating hacks in pulling off a cozy yet stylish coffee bar at your very own space. Transfrom your kitchen island, countertop, or even old dressers into a cozy lounge for caffeine fanatics. Whether you prefer it modern or vintage, you can ever go wrong with using a sleek bar counter with a display of coffee mugs and cups, coffee maker, mason jars, and other coffee-related knick knacks. If the bar is tall, you may pair it with stools. This stunning combination is also ideal for smaller spaces where large, fluffy couches and coffee tables can’t fit it.Let metals and wooden elements interplay in your design, like pairing a wooden countertop with metal bar stools. You may also use faux paint techniques if you’re aiming for a distressed look. Finish it off with simle light fixtures like pendant lights and hanging lightbulbs. Let these fabulous instruments of great coffee experiences shine in your very own coffee bar. There’s no need to buy a new open cabinet or shelf. You may repurpose your old wooden bookcases and cabinets by adding more compartments and painting them. You may also leave the color bare since the natural color of wood matches perfectly with coffee’s beautiful color. Do you have a few stocks of old coffee beans that you have no plans of brewing? 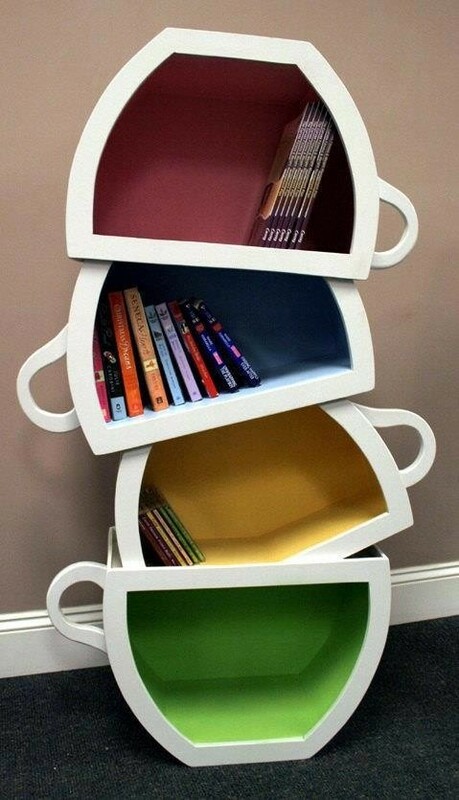 Instead of throwing them away, you may display them on your coffee bar-inspired home. The easiest way to display them is to let them fill an clear glass vase, jar, or bowl. Then add candles, artificial plants, or just leave them bare and open. You can also make DIY projects frames, clocks, and other decors made up of coffee beans. Countless number of coffee shops are established all over the world so each one of them try to come up with a unique concept which will make them stand out from their competitors. There are animal cafes, library-inspired cafe, and anime-inspired lounges. Think of a distinct feature. You may display musical instruments, model car collections, tons of books, pop culture memorabilia, and other items that both define your personality and can be a source of your guests’ amusement.